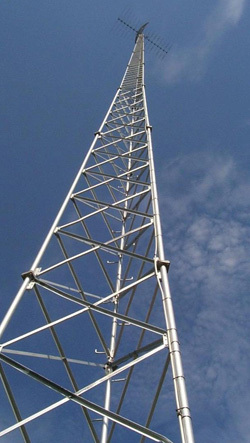 We specialize in installing all types of towers -- including Trylon, Maxtower, Delhi, Rohn, AN Wireless, Turris Corp and other manufacturers -- from non-penetrating roof mounts to mono poles, cell phone communication hardware installs on building roof tops, guyed towers and self-supporting towers. All types including Sinclair, Comprod, Andrew, Amphenol and other manufacturers. In-house cable communication systems and Roof-Crane capabilities. Security fencing, heavy machinery work, and re-bar concrete installation, designing and creating foundations and anchors to support structure installations. Machine shop; TIG, MIG, stick and oxyacetylene welding. Tower upgrades and painting; lamp replacements; emergency services if required. We offer a range of professional services from towers, antennas, in-house cable communication systems and roof-crane to custom fabrication, site preparation and foundations. We're also able to support ongoing maintenance and support programmes.